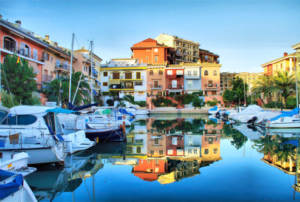 Known for its beaches, its unique buildings and its harbor, Port Saplaya has earned the tourist nickname "Little Venice". Known for its beaches, its unique buildings and harbor, Port Saplaya has earned the tourist nickname “Little Venice“. 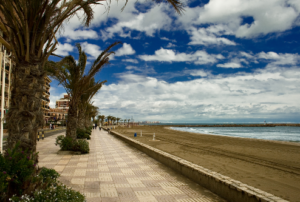 It is located in the eastern part of the municipality of Alboraya, about 5 km northern from Playa de la Malvarrosa. 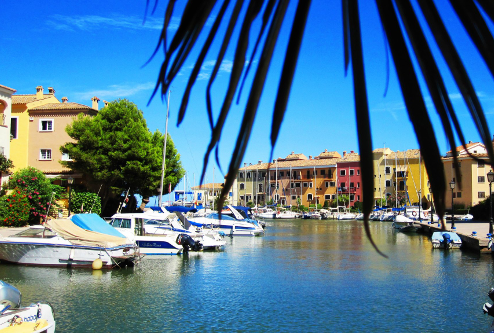 Very close to Valencia ( about 10 minutes by car ), Port Saplaya is ideal both for romantic couples or family vacations. With its nicely designed houses, colorful vegetation, boats, Port Saplaya is one of the best places to try horchata, traditional ice cream or tasty bocadillos de calamares with alioli sauce. Port Saplaya has two beaches, separated by the entrance to the port. They are both public accessible and have various services. It is connected to Alboraya and Patacona by a local bus that runs every day of the week with a frequency of about one hour. Depending on your holiday location and plans, you might need to rent a car for your stay to reach every site and destination you’d like to see and visit. If you’re looking for a car hire in Valencia, our car rental portal can help.